Your wellness is our focus! Lack of activity destroys the good condition. We open 24 hours a day, 7 days a week! You get your own access code, your freedom to work out anytime! Our convenient facility is located on South Main Road, 1/4 miles north of Exit 26 of Route 55 and minutes from the Cumberland Mall. A variety of classes are offered daily, throughout the day, to accommodate your busy schedule. We even open 24 hours, 7 days a week. 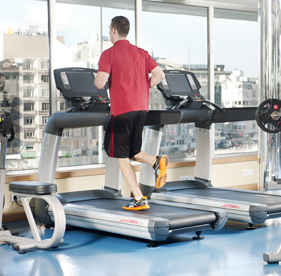 Our state-of-the-art facility boasts the most comprehensive exercise equipment of any club, assuring you that there will always be equipment available for your use. We don't want you wasting time waiting for equipment or a class. You are always welcome to tour our facility. Come and see what sets up apart! Functional Training AKA Suspension Training - A revolution in bodyweight training and exercise. We are proud to offer Suspension Training as our main form of training, along with kettlebells, bosu, and ropes. Our trainer team has helped hundreds of clients to achieve their fitness goals through this revolutionary method of training. All members are entiltled to receive 1 FREE month of UNLIMITED Functional Training. Suspension training is gaining international recognition as a revolutionary form of exercise and is being adopted by professional athletes and top trainers from around the world. Suspension exercise offers a new form of training for people of all abilities. It allows you to leverage your own bodyweight and gravity to develop strength, balance, flexibility, and joint stability simulaneously. Hailed as a revolution in bodyweight training and exercise, it offers a scalable form of training for people of all abilities. It allows you to leverage your own bodyweight and gravity to develop strength, balance, flexibility, and joint mobility simultaneously. Suspension training is highly adaptable to the individual, as the level of difficulty and intensity of the exercises can be determined by changing the body position or adjusting the angle at which the exercise is performed, giving you complete control over your fitness developments. As exercises are carried out in a suspended state, rather than fixed like traditional weight training equipment, it requires a great deal of core body work to stabilize your movements against the forces of gravity. Whatever your fitness level suspension training can challenge you and you will see real developments. Boot Camp Fitness workouts include, but are not limited to, cardiovascular, speed and endurance, partner resistance, strength training with log drills, dumbbells, barbells, tractor tires, and fire hose. We expand your fitness horizons with fitness games, group challenges, wheelbarrow races, kickboxing, medicine ball drills, plyometrics, box drills, fartlets, obstacle course, guerilla drills, grass drills, and 20 versions of the military standard push-up and sit up! 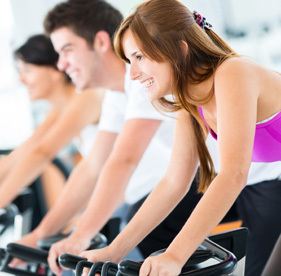 Improve your flexibility, stamina, circulation, and coordination through Pilates. All levels are welcome. Pilates support whole-body functioning as well strength and endurance. Peaceful method to increase flexibility, coordination, strength, and endurance. Certified yoga instructors guide through important principles. Beginning to advanced classes available. 45 minutes. We pride ourselves in ethical business practice. We do not use pressure sales tactic. No hidden fees, no hidden fine-prints, no outrageous cancellation fees. We offer 1-month, 3-month, 6-month, or annual membership. Month-to-month terms are available. Our membership contracts are straight-forward. 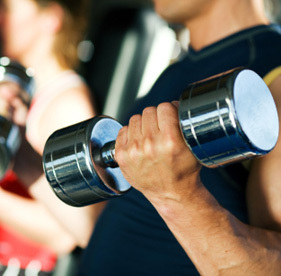 We offer 1-on-1 personal training or group training package. 24/7 Access: On Major Holidays, we close at 5:00PM on the Eve and reopen at 5:00AM the day after: New Years Day, Memorial Day, July 4th, Labor Day, Thanksgiving Day, and Christmas Day. OPEN 24/7. On Major Holidays, we close at 5:00PM on the Eve and reopen at 5:00AM the day after: New Years Day, Memorial Day, July 4th, Labor Day, Thanksgiving Day, and Christmas Day. Please complete & submit the below form. We will respond to your inquiry within 48 hours.